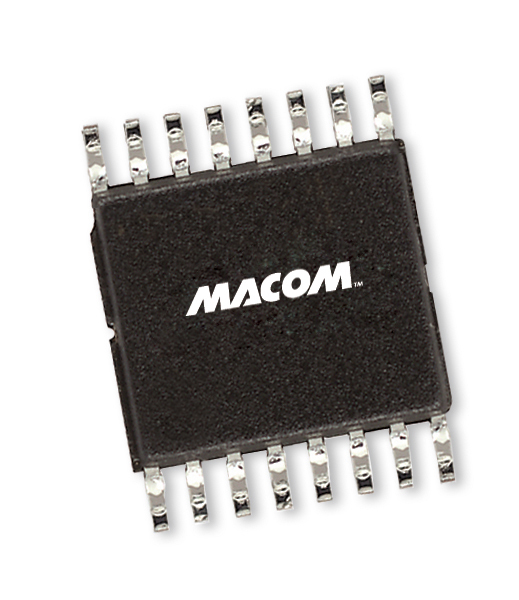 MACOM's MAAV-007090-000100 is a PIN diode based voltage variable attenuator. This device is in a SOW-16, wide body plastic surface mount package. These attenuators have linear operating power and input intercept point levels 15 - 20 dB better than GaAs FET MMIC voltage variable attenuators. They are ideally suited for use where low distortion, high linear operating power and high dynamic range are required. These devices are optimized for the PCS frequency band, but exhibit excellent performance and repeatability over the entire specified frequency band. The MAAV-007090-000100 is ideally suited for wireless communications systems.